Share wonderful memories of your special event with a touch of style and amusement through Facetime Photo. 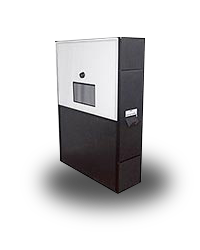 Providing the services of modern photo booth rentals in North Virginia, Washington D.C., and Maryland, we offer a creative and engaging treat for your celebrations. Hire one of our event photo booths and we’ll provide you with unlimited photo opportunities during the course of your party, colorful prints, customized layouts and labels, and the attentive services of our fully capable attendants. Whether you need an open-air wedding photo booth in Manassas or Fairfax or an indoor photo booth for a school dance in Gainesville, VA, our services are sure to transform your special day into a more unforgettable experience. 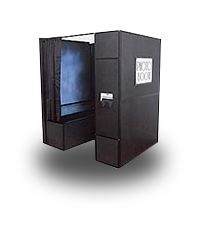 From small occasions to grand celebrations, any event can be highlighted even more by our unique photo booth rentals. We have 3 affordable photo booth packages to suit different needs, preferences, and budgets, as well as a number of add-on products and features. Our team will also work with you to create a customized layout to fit your party’s theme or wedding motif perfectly. On the day of the event itself, our friendly, fun-loving team will attend to the booth to ensure an enjoyable photo shoot experience throughout the event. Enjoy a party treat you and your guests will never forget. Hire our event and wedding photo booth rental services in Manassas, Gainesville, Fairfax, Northern VA, Washington D.C. and Maryland. Want a customized Facetime Photo package? Just give us a call at (703) 895-4082 or contact us online and get a free quote. No Small Booths. No Ugly Booths. Spacious booths fits up to 5 people. All booths come with double prints, but for a $20 upgrade you can have them print 4 strips instead. Facetime Photo Booth is the premiere photo booth rental company in Northern va, Maryland, and Dc. We provide a first class experience to all of our customers and ensure that we go above and beyond to meet the needs of even the most discerning bride. 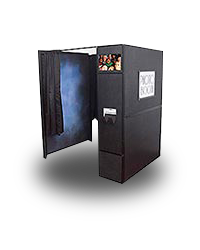 Through customizable packages, the most technologically advanced photo booths, low profile designs, professional staff, and transparent pricing we pride ourselves on delivering an exceptional product. Facetime Photo Booth 2017. All Rights Reserved.